505 Games and Echo Peak have officially released Way of the Dogg, a new rhythm-themed fighting game developed in collaboration with acclaimed rap artist Snoop Dogg aka Snoop Lion, on the Xbox Live Marketplace for 800 Microsoft points. 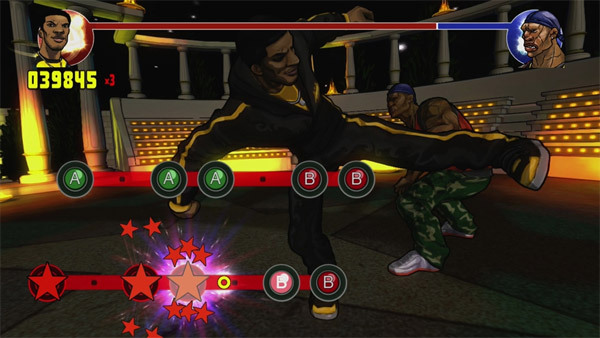 Featuring timing-based gameplay to the beat of several signature Snoop tunes, the game features a story mode influenced by classical kung fu movies, as well as two-player local multiplayer. Way of the Dogg is also scheduled for a later release on the PlayStation Network and mobile devices. We will have a review for the Xbox 360 version of the game shortly. In the meantime, more information can be obtained from the following press release and promotional trailer. WOODLAND HILLS, Calif. – May 3, 2013 – Entertainment icon Snoop Dogg (aka Snoop Lion) brings his fans the latest news about his forthcoming video game Way of the Dogg releasing today on Xbox Live® as an arcade game for the Xbox 360® video game and entertainment system from Microsoft. Way of The Dogg features intense, rhythm-action combat matched to a selection of Snoop Dogg’s greatest hits including: “Who am I (What’s my Name),” “Gz and Hustlas”, “From Tha Chuuch To Da Palace” and “Pump Pump.” Way of the Dogg’s story mode pits players against the toughest fighters in brutal one-on-one combat. In addition, the game features highly stylized temple fight challenges taught by Snoop and two-player multiplayer modes for brutal beat downs. Way of the Dogg is available for 800 MSP and has been rated “T” by the ESRB. The game will also be coming soon to PlayStation®Network and mobile platforms.